The state has released new data on California’s drinking water--and they reveal almost 300 public water systems are out of compliance with state standards. 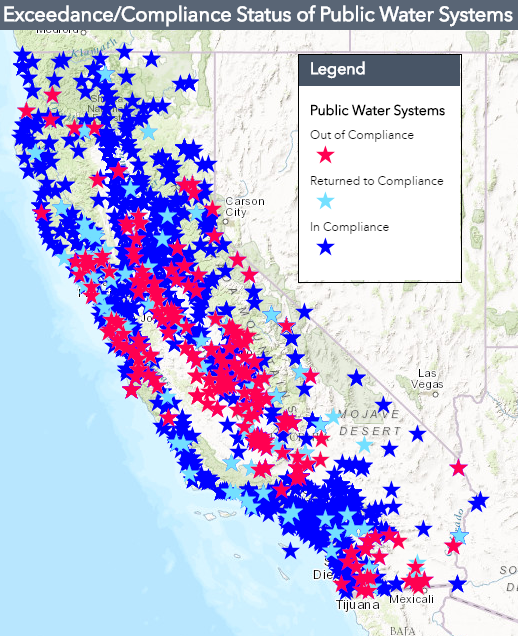 The data and an interactive map are part of the state water board’s new Human Right to Water Portal. 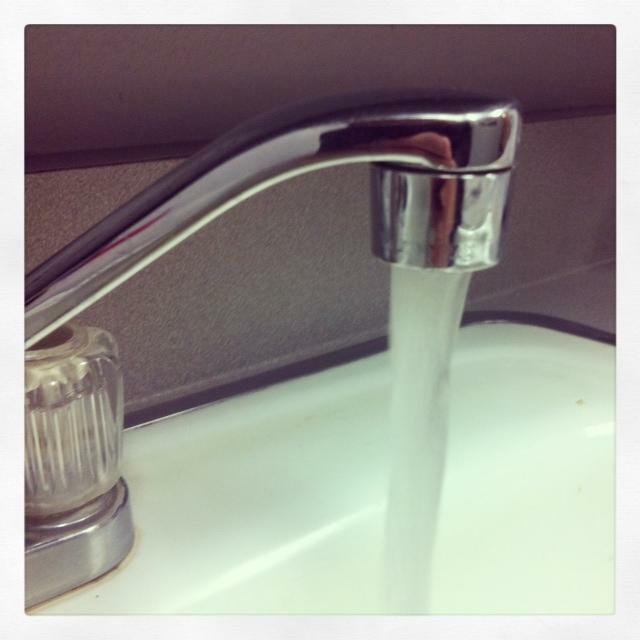 They reveal 292 non-compliant water systems across the state. Violations include unsafe levels of arsenic, nitrates, and other contaminants, as well as non-compliant treatment techniques. "When you think about safe and affordable drinking water, you might think about Flint, for example, but what most Californians are not aware of is that right here in our own state, over a million Californians are exposed to unsafe drinking water each year," says Jonathan Nelson, policy director of the non-profit Community Water Center. The San Joaquin Valley contains dozens of non-compliant water systems, which stretch from Humboldt County to the Mexican border. Nelson says determining the extent of the problem is the first step of many. "We can then start moving forward with: What do we do?" he says. 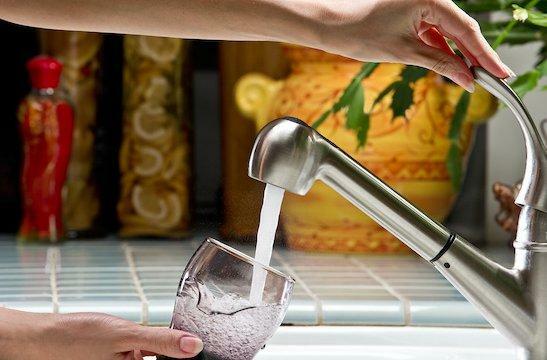 "What is the solution or set of solutions, to ensure that those impacted with unsafe and unaffordable drinking water ultimately do have safe and affordable drinking water?" The data do not include private wells and some extremely small water systems, and exclude some contaminants like perchlorate. The rural Kings County community of Kettleman City, long plagued by unsafe drinking water, now has a clear path toward a clean water supply. The State Water Resources Control Board today approved the construction of a water treatment plant to serve Kettleman City. The unincorporated community’s water supply contains unsafe levels of arsenic. Maricela Mares-Alatorre is a Kettleman City resident and activist, and she says residents are ready. Even before California's drought, many small unincorporated valley communities have dealt with drinking water that's polluted with nitrate, arsenic and other contaminants. As water levels in many wells have dropped, the problem has only grown more severe. Now a new provision in the state budget could offer help to some of those communities, in some cases potentially forcing large water districts to consolidate with smaller ones. Advocates like Laurel Firestone of the Community Water Center in Visalia say this could help many communities in their quest for clean water. The emergency drought relief bill that California lawmakers will begin voting on Wednesday would create a new state office. That might sound fairly mundane. But as Amy Quinton reports from Sacramento, supporters say it could help disadvantaged communities. Clean water advocates will tell you that it can sometimes take decades for small or poor communities to get clean drinking water. Laurel Firestone is with the Community Water Center.